Following the refurbishment of The Stamp Exchange in Newcastle, the North East England Chamber of Commerce (The Chamber) recently appointed Naylors to undertake a similar project at their head office in Aykley Heads, Durham. Led by associate director Dean Clark, the Building Consultancy team has been responsible for the design, specification, management and contract administration of the £340,000 project. 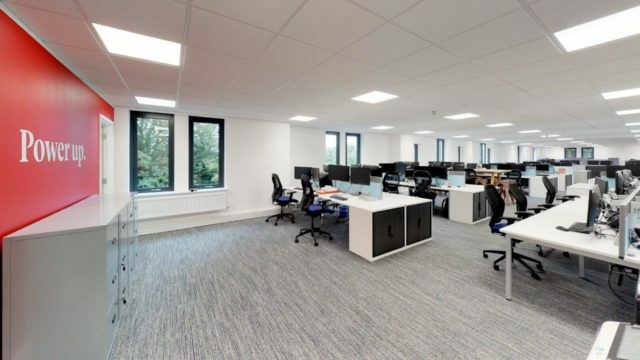 The works included full internal refurbishment and redecoration of the two storey premises together with replacement of all internal and external doors and rainwater goods. The installation of new double glazed windows, electric car charging points, LED lighting and a new heating and ventilation system has helped to significantly reduce the building’s environmental impact. Whilst the ground floor suite is occupied by The Chamber, the 2,419 sq.ft first floor suite is currently available to let.